Vehicles are due in stock from March onwards but is subject to change. Cars can be ordered and requested but exact delivery dates cannot be guaranteed at this time. 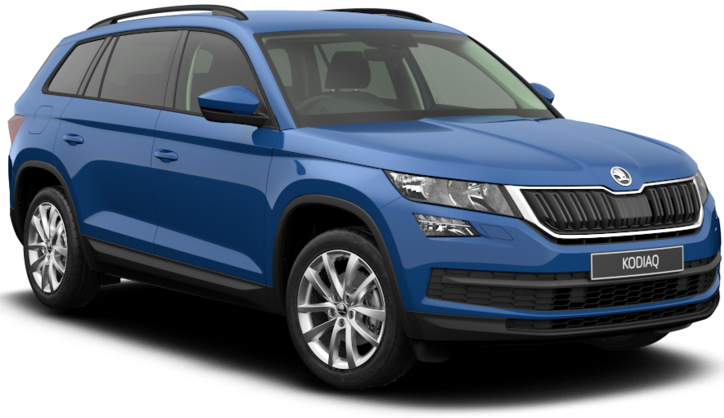 The Skoda Kodiaq is a spacious and large practical family car. It is a 7-seater, however, the rearmost seats are more suited towards children as leg and headroom is tighter than what you’d find in other parts of the car. Even with seven seats, there is still enough room for a weekly shop, something some other 7-seaters can’t accommodate for. Fold the rearmost seats down you have a 5-seater SUV with loads of head and leg room but also a massive boot that can accommodate for a big family adventure family. The interior design isn’t pushed aside to focus on the size of this car, most of the plastics and materials feel plush and well built to last a long time. Across the range you get DAB Radio, Apple CarPlay and Android Auto as standard.